Through all of my reading, I learned that water pollution, something I thought was only a problem in the developing world, was a massive problem throughout America. Water is not one of, but the most important resource in the world. It is essential to human life, and many people are in dire need of it. Water pollution is caused by industrial waste dumping, improper sewage treatment, and runoff from farming. 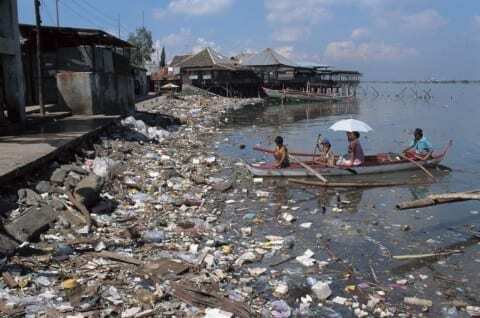 Industrial waste dumping is mostly a problem in the developing world, with 70% of industrial waste and 80% of sewage being dumped in the water supply untreated. This is a huge issue, as in the developing world, many people already lack safe water for drinking and cleaning. This is not to say that it is not also a problem in America. In America, about 40% of all freshwater is unsafe for fishing, aquatic life, or swimming. Pollution also comes from people’s bodies. The medications that we use on a daily basis are not completely metabolized in people’s bodies. This means that they are excreted out into the sewage. That sewage is usually treated, but the method used is often UV radiation, which is not effective on medications, as they are designed to be stable. One possible solution is to make the medications more digestible in people’s bodies, which allows them to be broken down into harmless compounds that will be broken down in sewage treatment. So why does this matter? It matters because it is directly affecting the environment around us. These pollutants harm fish, and disrupt ecosystems. This could cause ecosystem collapse, and completely change the world around us. As for more violent means, water scarcity could lead to wars over existing water supplies, especially in the arid regions of the world. These conflicts could escalate, pulling in the major world powers. What can we do about it? First, we can try and reduce the amount of pollutants we use on a daily basis. Don’t pour medicine down the drain, use environmentally friendly drain cleaners and fertilizers. Small things like this make a large difference. By making changes in our daily lives, we can affect greater things. So what do you think? Is this a problem that we should be worried about? Should the government do something about it? What more can we do? Water Pollution by Eric is licensed under a Creative Commons Attribution-ShareAlike 4.0 International License.